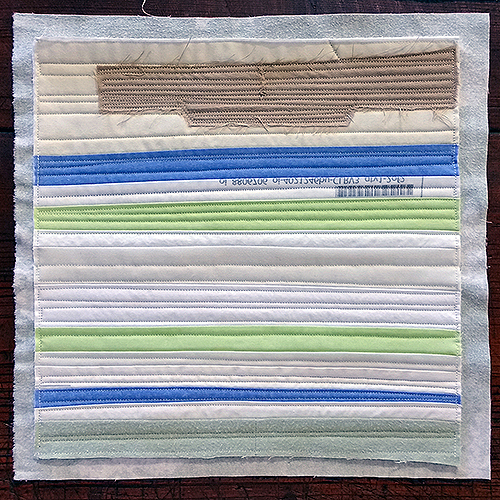 In late 2016 I started an open-ended series called the Quilt Diaries. 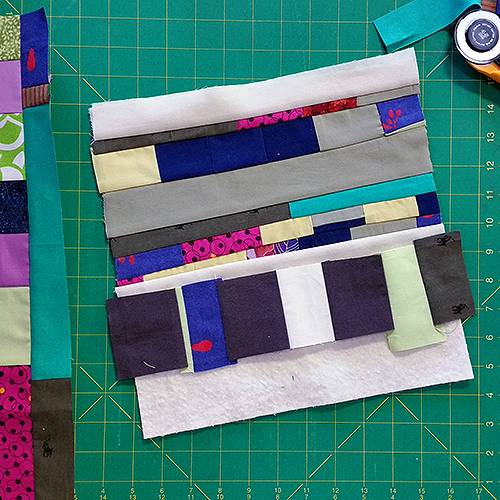 My idea was to create a quilt block each week, then join them together at the end of the month. I decided not to restrict myself to particular materials, sizes or shapes. I'm not worried if they all come out looking different (they do). In January 2017, I began my first artist residency, and started work on Quilt Diary 201701: Falling Together At The Seams. It was a tough time. 2017 was kind of rough all over. But many of us felt a galvanizing, a deep desire to practice empathy and serve our communities. I think we looked at the choice between falling apart and falling together, and we chose the latter. We showed up, we gave, we hugged, we shopped local, we spoke out, we listened to one another. We made our seams tighter.